Winery sets site on new Red Mountain production facility, tasting room. The Red Mountain American Viticultural Area is one of the premier growing regions in Washington State. 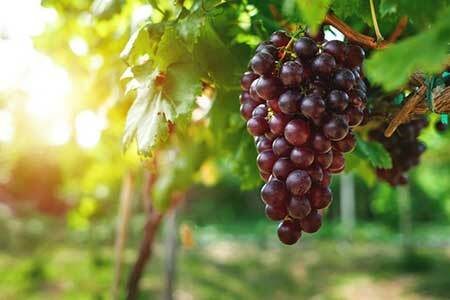 Grapes often fetch three times the price of other grapes on the market. So imagine the eyebrows that raised when Aquilini Red Mountain Vineyards announced that they would be leaving four of their acres grape-less, choosing to build a 170,000 square foot production facility on the fertile soil instead. For those who remember Field of Dreams, where Kevin Costner’s character plowed until part of his cornfield, it may conjure up visions of ghostly vintners emerging from the vineyards. But there’s a method to this madness, as the new winery will be the only production facility in the area, complementing the wine tasting experience by letting visitors see how the wine they are tasting is made. When completed, the new production facility will employ up to 30 workers. The new owners will also be building a home on the property. The project is the brainchild of the Aquilini family in Vancouver, B.C. The family owns the Canucks hockey franchise, in case it didn’t ring a bell. It is being built on the site of an old gravel pit that was auctioned off five years ago when the Kennewick Irrigation District put 31 parcels, 670 acres total, up for sale. The company also owns 300 acres in Horse Heaven. The company plans to market their wines under the Aquilini Red Mountain Vineyards brand. Read more in the Tri-City Herald.